Home / airlines / asia / news / End of Air Deccan version 2? Air Deccan was the pioneer in low cost flying in India. Air Deccan version 1.0 came to and end when it was acquired by now dead Kingfisher Airlines. After about a decade, by late 2017, Air Deccan came back to life, promising cheap flights between Mumbai- Nasik, Kolkhapur etc, taking advantage of union governments incentives under RCS (UDAN) scheme. I had written about Air Deccan's relaunch in this post. But Air Deccan 2.0 never succeeded. Many flights were cancelled and service was irregular. Airline blames it on lack of infrastructure at Nasik Airport, lack of convenient timings at super busy Mumbai airport among other things. 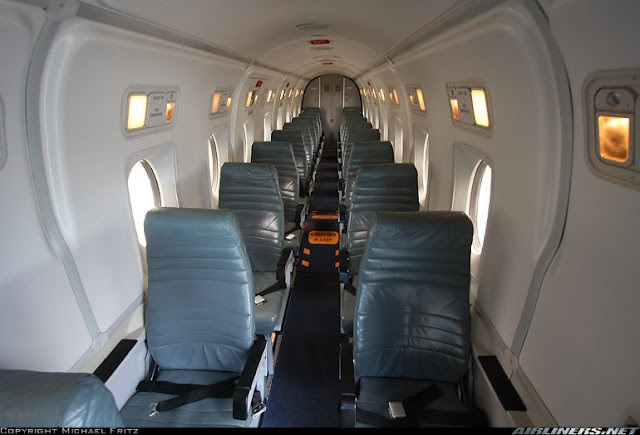 They just had 18 seats to fill per flight on the super small Beechcraft 9100 D aircraft- not sure how successful they were in that- some news suggest they had 60%+ occupancy. Air Deccan was never getting listed on sites like MakeMyTrip. Probably Air Deccan hoped to sell all seats from its website alone. But with frequent cancellations, drop in reliability meant customers won't trust to book, however low the price may be. By mid 2018, it looked like operations almost stopped. January 2019- This news on Moneycontrol states Air Deccan's license is suspended. Air Deccan had won several routes in North East- which they were planning to operate once Mumbai operation stabilizes. Now Air Deccan is no longer a contender for UDAN 3.0. Its official website no longer shows scheduled flights- http://www.deccanair.com/- they seem to offer some charter planes and such on demand aviation services. Will there be an Air Deccan 3.0? Will they re-emerge in India's aviation market in future? Let us hope so.